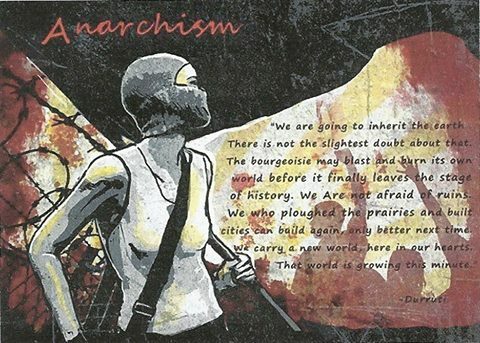 A wide-ranging debate within the Love and Rage Revolutionary Anarchist Federation was sparked by Ron Tabor's July 1996 response to another member Chris Day's polemic "The Historical Failure of Anarchism" (https://theanarchistlibrary.org/library/chris-day-the-historical-failure-of-anarchism). Tabor, who had been a leader in the Revolutionary Socialist League, also wrote a critique of Lenin and the Bolsheviks "A Look at Leninism". Love and Rage did not survive the fissure and Day's faction soon left the anarchist movement. Will we continue to advocate and seek to carry out an anti-authoritarian revolution, or will we abandon our anti-authoritarian principles and program and turn ourselves into bourgeois revolutionaries in the interests of a short-sighted conception of revolutionary efficiency? This is great stuff. I'm working on a plaintext version of it for accessibility. Noam Chomsky discusses the future of the Occupy Movement. Neil C. Fernandez's book on capitalist nature of Soviet Union and working class struggle in it.